I think it needs to be taught in all schools. I have waited for a pictorial tutorial just like this one Bill Y! 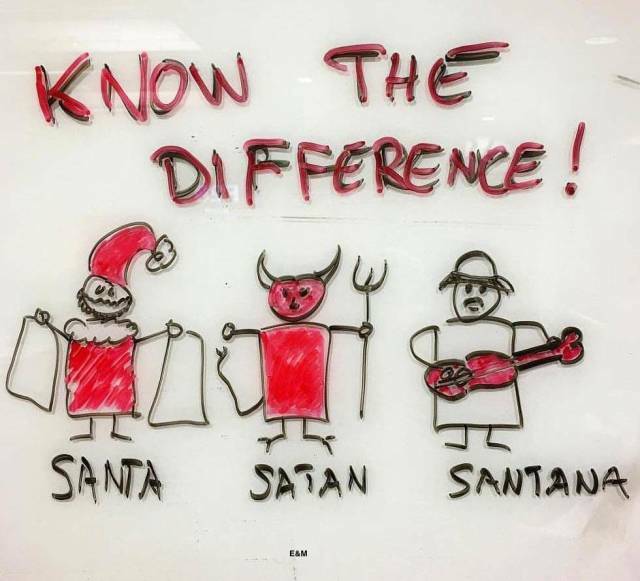 Can you explain the difference between Saint Nick and Old Nick? I don’t do special requests, Bill and there’s probably a good reason for that but because it’s you, here goes. The immune system does its thing and before you know it, the Old Nick heals. Saint Nick is different in that he’s the gift bearing figure in modern folklore and popular culture aka Santa Claus. And that right there is the good reason I don’t do special requests.